Please post screen shot and description with location. This is not a discussion thread. Not sure if planned as such, but you only place one fob per side. For example on the following screenshot, it was still saying need to be further than 400m from other radios. It's REALLY easy to spawn camp in this map, is this intended? If not, you should find a way to prevent it, it's annoying. Its in an alpha form and will be 3x bigger when complete. I think the community really wants to know if a "dome of death" will ever be added to main bases like in Project Reality where an enemy player couldn't even enter the area without being killed after a warning. Will it be vehicle compatible then or remain as CQB map? 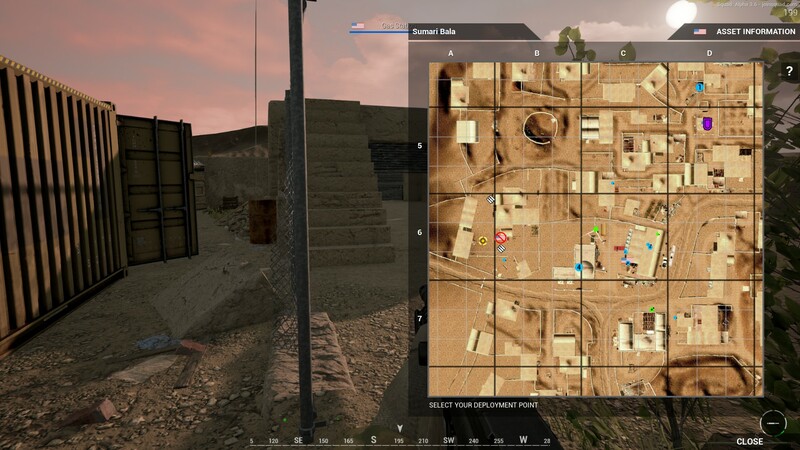 The premise of the map will remain CQB, even as it grows 3-4 times larger, but we will likely add humvees, technicals, and trucks to specific layers. However, the terrain around the village area will be mostly out of bounds so the vehicles will have the extremely dangerous task of driving down the narrow roads within the village. 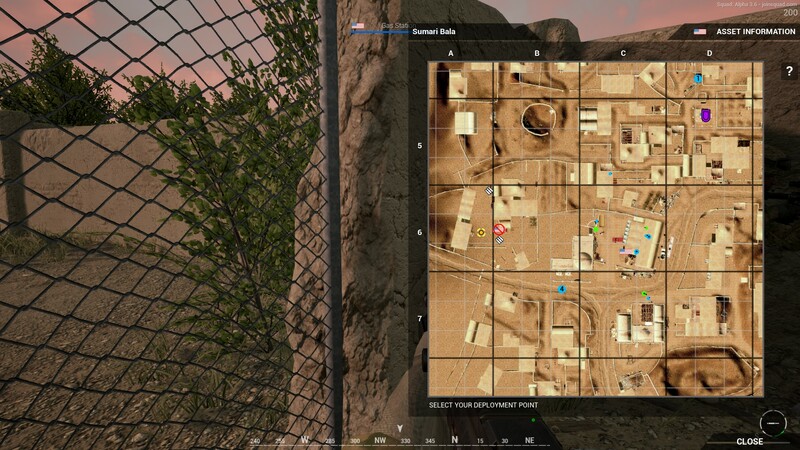 You can get stuck outside the map (Outside this invisible barrier) if a FOB or Rally point is placed close to the edge of the map on the Southern edge of the map and you spawn on it. You can't shoot through the invisible barrier or walk back inside the map zone, your just stuck there. The map size dosen't match the real size. Meaning that the player markers on the map are not placed where the players really are. Like there is a scale issue. Looks like it's only on the Y axis. That brick stack im pointing at, you can lie down on there and then when looking through the wall, crouch and pop through it to the other side. Or if you're unlucky you fall through the map. The ammo crates in the US main base do not allow a US soldier to change kits or resupply. Nothing happens when you stand anywhere near them (no F menu popup). It's like it's an enemy ammo crate. Tested this lastnight (again) with both crates in the US main. I don't recall having this problem prior to Alpha v4 or maybe it was an intentional change? I don't mind eye adaptation or bloom, but it's just way to strong on this map. u can glitch with proning and then move backwards you are sitting in a WALL and cant been seen by the enemy , u can do it at MARKET and rooftop also. 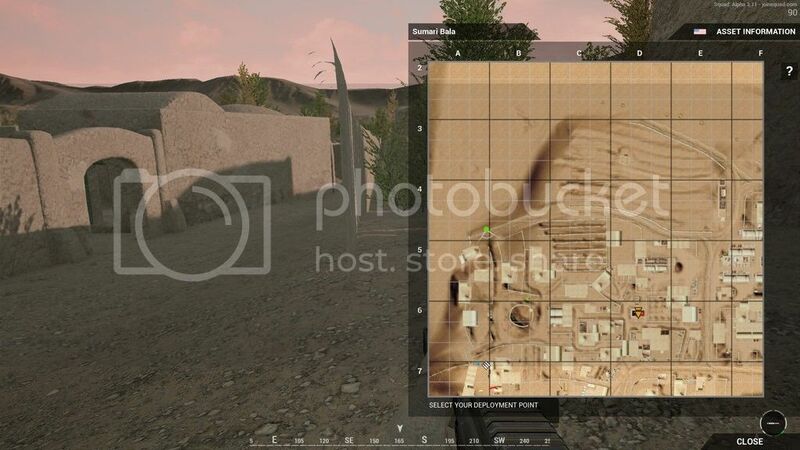 I don't have a screen shot, but we put a fob down in a building, and it was spawning people like 400m in the air at the north east corner of the map. It was wierd. I know it's a useless report, but Maybe it's an edge case or something. we were insurgent and the fob was just west of the center group of trees in a little farm courtyard. I guess this is good to mix up the map rotation... but I feel this is very much catering to the COD fans that are looking for a death match kill count type map. 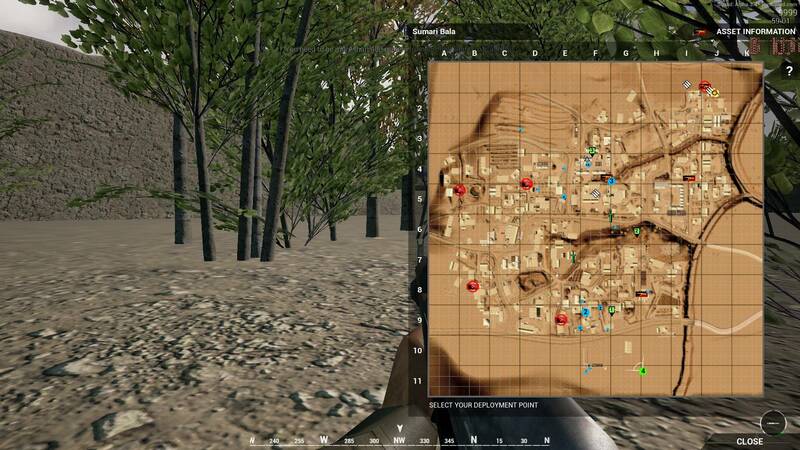 I came to Squad because of the tactical approach to gameplay, and I feel this map is a grind of death to get through. Thankfully it ends fast because its just constant kills.... but it feels very out of place of what I thought Squad was meant to be. perhaps if the compounds were spaced out more, or the map size about twice as big? If you read through this very thread, you would see a two developers say that the map is going to be 3x-4x the current size in its final stage. wow this map is intense now in its new larger Alpha V6 form. Great work, lots of cool details.